World Series? Wait a Minute... They call it the World Series, but it's played only in North America. Yet professional leagues thrive in Japan and Latin America, and the number of international players on big-league teams in the United States continues to swell. Is it time for a name change? 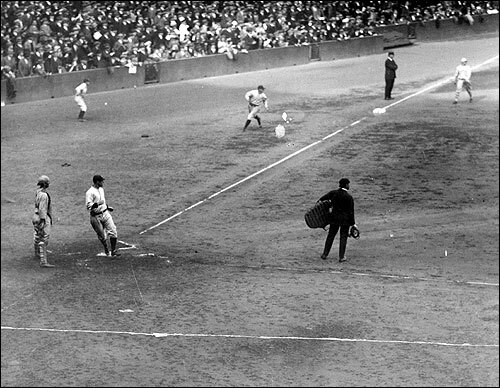 The 1923 Fall Classic featured the new York Yankees and the New York Giants. Some "World Series." 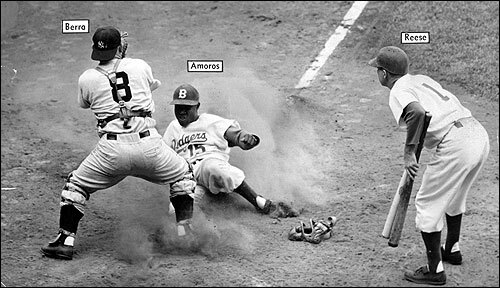 In the 1955 World Series, Sandy Amoros, born in Havana, Cuba, slides home with a run for the Brooklyn Dodgers as the New York Yankees' Yogi Berra tries to block the plate. 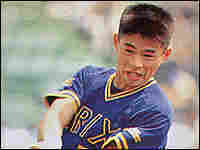 Ichiro Suzuki was a star in Japan before arriving in Seattle, where he became the American League Rookie of the Year. He went on to set a major league record for hits in a single year. Not long after I arrived in the United States, I was invited to take part in one of the most important traditions of any spectator sport: gambling. Just when the 2001 World Series was about to start, someone asked me to pick a team, and make a bet. "Sure," I said. "What countries are participating?" The person organizing the affair was so confused by my question that he was not sure whether to laugh in my face or to use my "baseball naiveté" to his economic benefit. At the time, I felt like I was the only person in the "world" -- a.k.a. "United States" -- confused by the notion of a World Series played entirely in North America. So why is it called the World Series? I began asking around. Some fans noted that Toronto has a team. Others mentioned the ever-increasing influx of non-American players on Major League Baseball rosters. Yet the Toronto Blue Jays do not really represent Canada, and those international players aren't playing for their native countries when they put on the jerseys of the Baltimore Orioles or the Kansas City Royals or the San Francisco Giants. At the end of the day, when the American League champion takes on the National League champion in the fall, there is little "worldly" about it. It's just an all-American ball game. "You really have to look back at the way most people in the United States saw the world in 1903 -- the year the 'World Series' championship was created," he told me. "The Gilded Age was giving way to an era when the United States would dominate the globe militarily, economically and politically. No one could beat the United States militarily. And surely no one could beat the U.S. at its own game." Josh Laventhal, the author of World Series, said early organizers used the term as a marketing tactic. "By emphasizing the global significance of the game, they would be able to draw more people to the ballparks." Several baseball blogs claim that the New York World newspaper was a sponsor of the game. They're in error, according to Eric Enders, head of Triple E Productions, a baseball research and consulting service. "The truth is that at the time when it was first called World Series the two teams were really the best teams in the world," he said. "So they could semi-legitimately call that the World Series." But he conceded that today, with numerous other countries playing professional baseball, it might no longer be a legitimate claim. In fact, my research into the naming of the World Series made me realize just how international baseball has become. The opening day rosters for the 30 Major League Baseball clubs included 242 players born outside the United States (including Puerto Rico as a "foreign" point of origin). More than 29 percent of the 829 players on rosters, as of April 4, 2005, were born outside the United States. The Washington Nationals team has 16 foreign-born players, hailing from Cuba, the Dominican Republic, Japan, Mexico, Puerto Rico and Venezuela. It's obvious that baseball is increasingly an "international pastime," with professional and amateur teams surfacing in many nations. Teams in Latin America and Asia are increasingly creating their own baseball tradition. American players have gone abroad for many years, playing "winter ball" in warmer climates to earn extra money in the days before big contracts, or to brush up on coaching skills. Many U.S. players became fan favorites in Japan, where a small number of non-Japanese players are permitted each year. 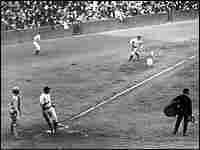 In Cuba, baseball has been played for almost as long as it has in the United States. Fidel Castro was a minor-league pitcher before he took on slightly larger duties. And Peter Bjarkman, author of Diamonds Around the Globe, notes that Cuba passed its love of the game along to other countries in the Caribbean. The Cuban national team is a power in international play. During the 1970s, American baseball teams realized that Latin America was a wellspring of talent. 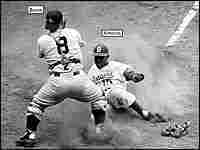 So they established academies to prepare young ballplayers. Among the early beneficiaries: Slugger Sammy Sosa. At first, this was a way of importing cheap labor, says Anthony Salzar, the vice chair of Latin American committee at the Society for American Baseball Research. "Latino players were signed for relatively not a lot of money. Sosa was signed for $3,000 in the 1980s -- the same amount that Jackie Robinson was signed for in 1946. American players are signed for $100,000." These foreign-born baseball players and their enthusiasm are well regarded by the American crowd, especially after a loss of talent in the U.S., Bjarkman explained. "For a very long time, everyone wanted to be a baseball player. Everybody wanted to make these high salaries. Now you have so many more American kids not playing baseball because there are other sports that pay very well such as football and basketball." In Asia also, baseball has increasingly achieved an important position. Japan, Korea, Taiwan and China all have professional baseball teams. The game has also spread to Thailand, Hong Kong, Indonesia, Pakistan, Uzbekistan, India, Iran and Malaysia, which have national teams regularly competing in international games. Despite Asian baseball's long history, it was lightly regarded in the United States as recently as a decade ago. Robert Fitts, who heads the Asian baseball committee at the Society of American Baseball Research, lived in Japan. "When I came back to the U.S. in 1994, at the time I used to collect baseball cards, and people would make fun of me when I would ask if anyone had Japanese players' cards," he said. 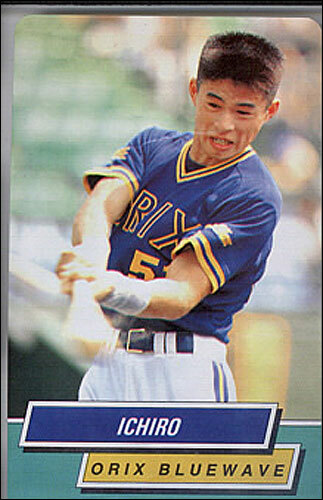 Then came pitcher Hideo Nomo, the first Japanese star to compete in the majors. He's one of only a few pitchers in history to throw a no-hitter in both the National and American leagues. Last year, Ichiro Suzuki broke a record for base hits in a season that had stood for 84 years. In the wake of that kind of success, major league scouts have gone looking elsewhere in Asia. A number of Korean-born players are now in the U.S. big leagues. Reaves said that he was surprised by how much the Asian countries have taken baseball and turned it to the great Japanese, Taiwanese or Korean game. "It is amazing to see that the way in which they play reflects their culture. In Korea, for example, sometimes there are fistfights in the parliament, so if there are fistfights in field, it's not a big deal. In Taiwan, gambling is part of the culture. In the 1990s, a large number of professional league players got caught in a gambling scandal." This phenomenon of "global baseballing" might be the reason why MLB officials have decided to finally hold in March of 2006 the World Baseball Classic -- a real international competition that will test the best. Now, does anyone want to bet which country will win?